Creating a language is one of the first places that many worldbuilders wander to, and it’s mostly because it’s what Tolkien did. What fresh worldbuilders (including yours truly, some 15 years ago) often don’t realize, though, is that Tolkien created languages because he was a linguist. 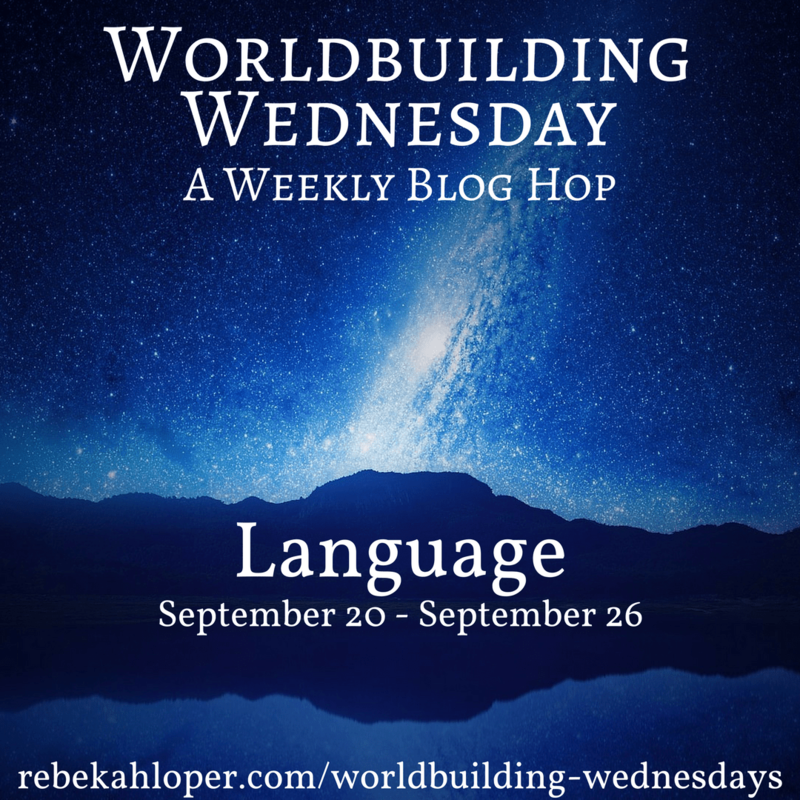 Language is important for worldbuilding – when you’re creating a fantastical world, sometimes our words and languages aren’t adequate, and it can help a reader separate the fantasy world from their real world just a bit more. However, it’s easy to also fall into overdoing it. If you’re just creating words to be substitutes for perfectly suitable words in whatever language you’re writing your story in, then that fictional language has no purpose. I’m not saying you can’t ever use a different word, but remember, as writers our word choice is the most important part of telling our stories. What are some purposes that fictional languages can serve? Naming your characters, for one. Sometimes ‘real’ names work, and sometimes they don’t. I almost always start my language creation by looking at what my character’s names are, and then expanding from there. As mentioned above, fictional language is appropriate when a word isn’t quite right or doesn’t exist for the purpose that serves your story. This will be things like naming creatures/things that don’t exist in our world, conveying very specific emotions and ideas, etc. Slang. Swear words. You don’t have to use a fictional language for all of these, but since slang and cussing is very much a cultural thing, you should definitely consider how the fictional language plays a role in it. And, most importantly, when you need to isolate the character and/or reader from something, whether this is because your character literally doesn’t understand the language, or because something needs to be revealed to the reader a little later in the plot. Please use that last example sparingly. For more information on the logistics of language creation, there’s a ‘lite’ version of language creation in my book, or you can go crazy in-depth with The Language Construction Kit by Zompist. What do your characters sound like? Their voices, not their words. How do they speak? This will determine the language itself. What real languages do you enjoy the sound of? How can you use them as inspiration? What dialects exist within your main fictional language? What sorts of social stereotypes are attached to them? Next Launch Day is Coming – Here’s all the details! Sorry I didn’t post this week. I have a lot of distracting things going on, plus I’ve already posted stuff on fictional languages. Will try to get something good done for Wednesday this week. I thought your post was helpful, by the way.